Repeat customers can leave a Trustpilot review after each buying or service experience, giving you valuable feedback and improving your visibility on Google. How do multiple reviews help my company? Better customer insights - The more reviews you collect, the better you become at understanding your customers' needs. You'll get more accurate insights into your strengths and challenges, which you can use to make your business better. Reveals customer loyalty - You'll get a better idea of who your repeat customers are and why they love your business. New, relevant reviews - Your company is constantly improving and evolving. New customer reviews reflect any changes that you've made to your company. Increased visibility in Google - Google loves fresh, relevant content, so collecting more reviews improves your Google presence and your ability to get a Seller Rating. A better Google presence can also increase traffic to your website. Note: Multiple reviews are completely free for all companies. Can I control how often I invite my customers? Absolutely. 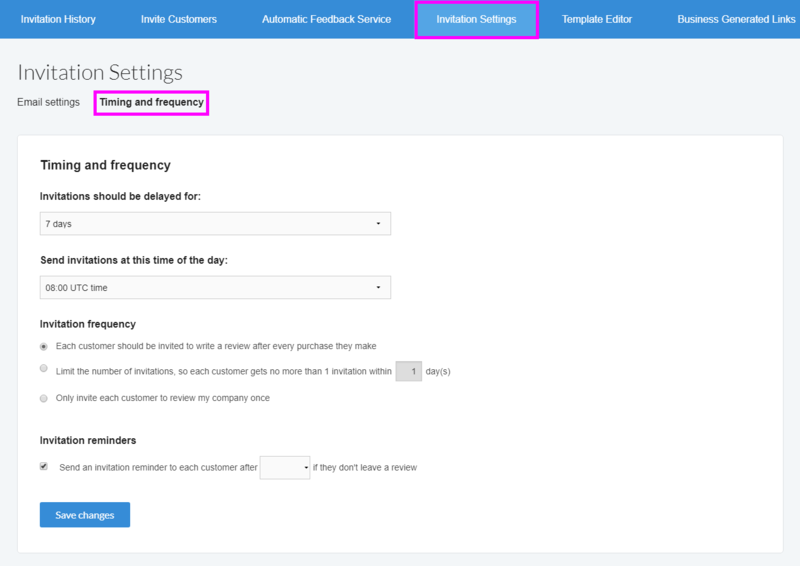 Manage the invitation frequency directly from the invitation settings in your business account. Please read our Company Guidelines to make sure that you're either inviting all customers to review you equally and identically, or that you're inviting them in an unbiased way. Only the most recent review from a customer counts towards your TrustScore. How will multiple reviews appear on my company profile page? The newest review is shown on top. If you've replied, it will also be displayed here. Select the button below the review to read any earlier reviews.